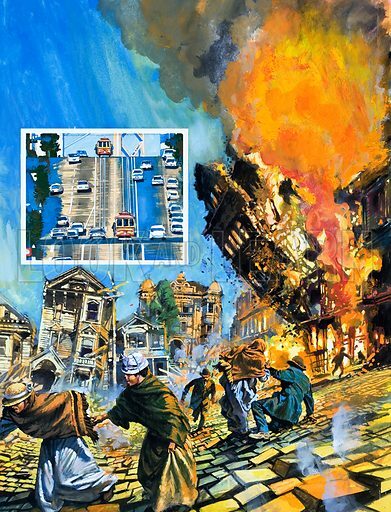 San Francisco Earthquake. Original artwork. Available worldwide for immediate download up to 3,497 x 4,576 pixels.